Of all the Samsung apps that come pre-installed on Galaxy devices, Samsung Internet is the least offensive one to many users. In fact, many users consider it to be a better option than Google’s offering. 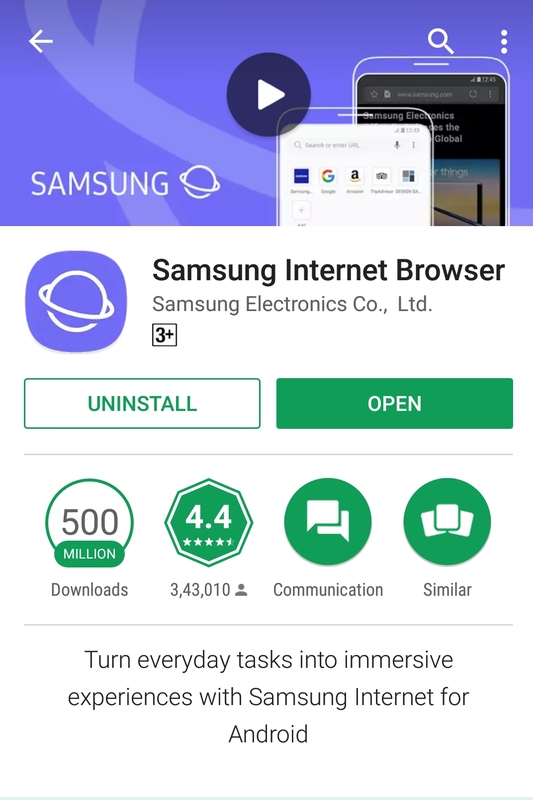 The beloved Samsung Internet Browser has now crossed 500 million installs on the Google Play Store according to the install count in the listing. While the install numbers may seem large, it doesn’t look all that colossal when you consider the fact that Samsung Internet comes pre-installed on all the Galaxy devices. Samsung has also opened the app to devices from other brands, which might have helped the app in reaching 500 million installations on Google Play. Samsung Internet has some nifty features like an ad blocker, night mode, secure private mode, and support for extensions, etc. The app also offers many region-specific features for users in India and China as seen in the most recent update. The app is based on Chromium code and performs admirably well compared to other popular Android browsers. If you’ve not yet tried it, do give it a go, you might end up liking it. Samsung Internet browser is available as a free download from the Google Play Store, and it’s also available on our APK page. There should be one for desktop as well.